LIVERMORE FALLS — A selectman would like to see police officers in the community get better acquainted with residents, including children. In September, selectmen put a proposal for a new playground equipment at the Recreation Field on hold until security measures are taken, because someone vandalized a playground structure for young children. “We need to figure out what to do with the children,” Selectman Sarah Flagg said at the Oct. 16 selectmen meeting. “There is not much in town for them to do,” she said. Police officers should be out there, maybe in more casual uniforms, she said. The board discussion began when the board reviewed an invoice for new Tasers, which are used to temporarily incapacitate someone. “I would like the Police Department along with the select board to think of out of the box ideas that will help the people of the community who are in crisis, without the use of violence. I understand (police) need to be protected but we need to look at why we have the issues we do,” Flagg said Thursday. Police deal with people who have mental illness, drug addictions, alcoholism or may be suicidal or out-of-control, Police Chief Ernest Steward Jr., who was not at the meeting, said Friday. Police try to resolve criminal complaints without violence, Steward said. New Tasers are being purchased to replace older models, he said. “Without Tasers we would have to get more physical and options to handle a threat of imminent danger would be limited to a handgun,” he said. Police always look for resources to help people in crisis, he said, including taking people several times a month to a Lewiston hospital to get the help they need. With state resources limited, jails and police departments have basically become the mental health providers, he said. The department is also faced with limited staffing and budget constraints. Town Manager Stephen Gould told the select board at last week’s meeting that the Police Department used to have a community policing program. He would like to see day shift officers go to schools to talk to students or have lunch with them so they can get to know police better. He said understands where police are coming from and the challenges they face while doing their jobs, he said. 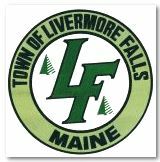 Any meeting with children in a school setting would have to be done in another town, because Livermore Falls closed its elementary and high schools when the school district consolidated with Jay in 2011. Earlier this year, the department held Coffee with a Cop sessions at different locations to meet with residents and hear their concerns.